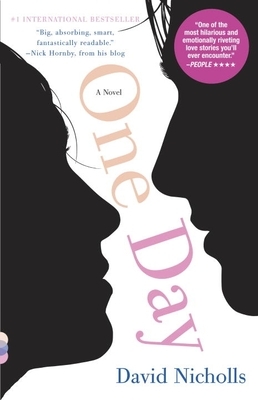 One Day by David Nicholls is a delightfully engaging fictional read. Featuring a unique writing style that only tells the tale on one specific day. Dexter and Emma first meet each other on July 15th, and during this one encounter the two realize that they can not forget each other. Nicholls then shows a glimpse of each characters’ life on the anniversary of the day the two first met. This means that over time the reader is able to see how each character has grown over the years while still remaining close to each other. Nicholls does a great job with his character development, giving a wide range of emotions from humor to serious life issues. A well written novel with a surprising twist at the end. 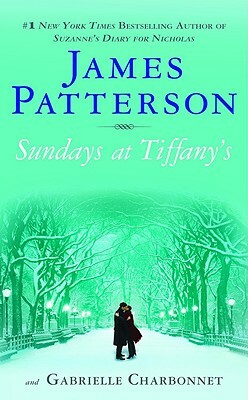 James Patterson’s Sundays at Tiffany’s is a delightful fiction read. This is not his typical mystery thriller, but instead a heartfelt story about imaginary friends, love and magic. Jane feels all alone in the world. Her mother is constantly working and her only friend is an imaginary man named Michael. Jane knows her time with Michael will be brief, and sure enough when she turns nine Michael moves on to another lonely child. She has been told that in time she will forget her friend, but even when she is a grown adult she finds herself alone and remembering Michael. Then one wonderful day she meets a charming handsome man named Michael. This is a wonderful love story and a great feel good book. 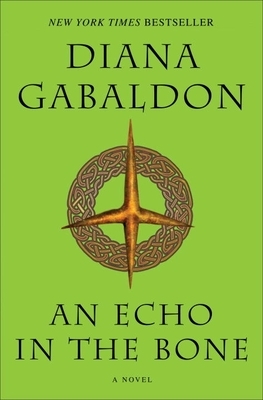 Our first book discussion for April will be on the 2nd at 1PM. 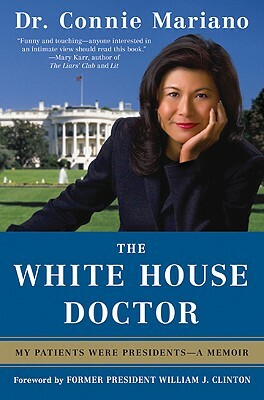 We will be discussing The White House Doctor by Connie Mariano. Mariano was recently at the Tucson Festival of Books and her talk and non-fiction book were a hit. She was a physician at the White House for nine years and worked with three of our presidents. This book gives you a brief look at what life is like inside the White House. We will be announcing our fiction book next week, so check back later to find out our second April book. 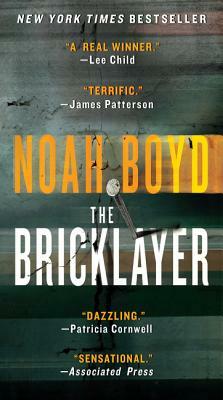 The Bricklayer by Noah Boyd is a great thriller read. Steve Vail was fired from the FBI and moved on to an average career of laying bricks. However, it doesn’t take long before the FBI gets stumped on a serious terrorist case. No matter what technology they use, the agents are unable solve the complicated riddles that the blackmailer sends them. Soon, the FBI realizes that they must called in the one man who was known for looking at things differently and solving cases. Vail joins the team and sets off on a suspenseful journey of tracking down the terrorist. The best part about this book is when you and the FBI agents think the case has been solved something else happens and Vail shows you how wrong you are. The pieces of the puzzle have to constantly be viewed differently then you would expect. Needless to say, Boyd keeps you on your toes for the whole novel. This book is incredible well written and if you are looking for another Jack Reacher type character this is a perfect choice. Here are our bestsellers for the middle of March. If you are in the mood for a new mystery heroine, check out a Zoe Sharp novel featuring Charlie Fox. 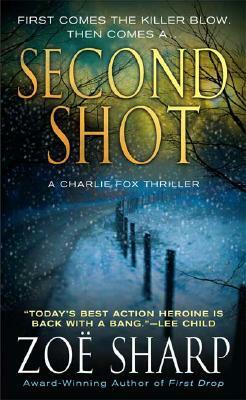 Second Shot is the second book in the series, but the story worked fine as a stand alone novel. Charlie is working as a personal bodyguard for a rich lottery winner when things start to get out of hand. Specifically, Charlie’s client decides that she needs to fly to the United States and track down her father. Things wouldn’t be so bad if the client would just listen to her bodyguard’s advice instead of throwing fits and demanding to do things her way. I enjoyed how frank Charlie is, even with her obnoxious client. She is definitely a get the job done right kinda gal. This book has enough action to keep you turning the pages, and not to mention a few fun plot twists. The Emerald Isle, the setting for Lyn Hamilton’s fourth archaeological novel is the perfect read for March. With St. Patrick’s Day a day away, fall into the mystique of ancient Ireland as the Toronto author weaves ancient myths with modern day suspense. Heroine Lara McClintoch journeys across the Atlantic to accompany Alex, her antique store employee, to the reading of a will. Once they realize the will is merely a clue to a treasure, the pair dart off on an exciting adventure. 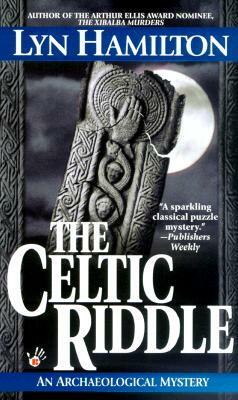 Thanks Polly for your review on the Celtic Riddle!